Grand Roatán Caribbean Resort is a rare tropical gem that merges authenticity with unmatched luxury and elegance. 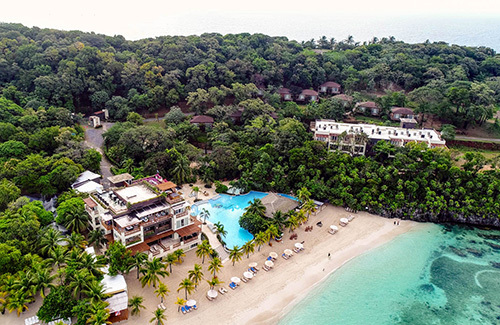 Stylish and sophisticated, our resort is nestled between a pristine forest sanctuary and the crystal-clear waters of the Caribbean. Guests enjoy 48 oceanfront or ocean view suites with unparalleled beach sightlines and wade-in access to the Mesoamerican Reef. With its breathtaking coastline, luxury suites and residences for sale, five-star amenities and a sense of solitude that blends perfectly with its natural surroundings, Grand Roatán Resort welcomes you to enjoy the quintessential Caribbean lifestyle with us.